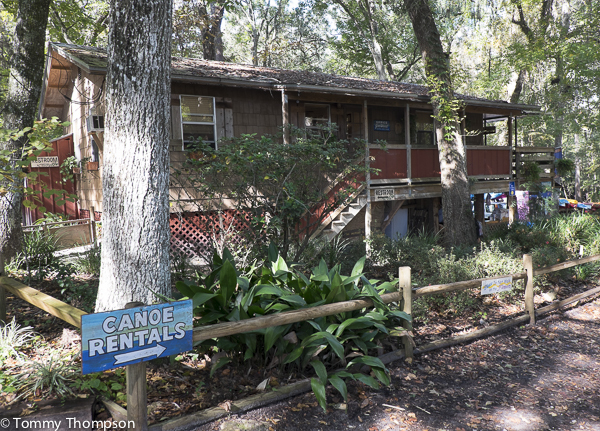 Santa Fe Canoe Outpost is nestled in a cypress forest next to the Santa Fe River, just outside of High Springs, FL. There’s no shortage of canoes to rent at Canoe Outpost! 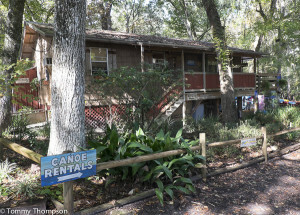 Located right next to the US441 bridge over the Santa Fe River in High Springs, you’ll find Jim Woods’ Santa Fe River Canoe Outpost. Jim’s been renting kayaks and canoes there for as long as I can remember, and he and his staff are bound and determined for you to have a great time one the river. 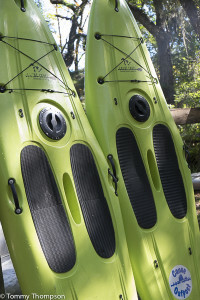 It’s an easy walk down the boardwalk to the river and a leisurely 4 hour paddle downstream to Rum Island, where the Canoe Outpost can pick you up. 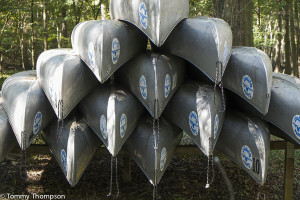 And if you’re a camper, arrange a special pickup a day or two downriver.